Bill Stalter has been representing death care companies and their trust fiduciaries since 1986. Mr. Stalter received his law degree and an MBA from the University of Oklahoma in 1986, and immediately went to work for a Kansas City law firm representing a large, multi-state death care company. Following a recommendation from a fiduciary client, Mr. Stalter established The Preneed Resource Company in 1999, a third party administrator and compliance firm serving funeral homes, cemeteries and fiduciaries with death care accounts in more than twenty states. How to Develop an Attractive Preneed Trust Agreement, International Cemetery & Funeral Management periodical, March-April 2003. Preneed Funeral and Burial Trusts: A Tax Primer, The Director (National Funeral Directors Association), January 2011. Independents and the Master Trust: Going Solo, The Director (National Funeral Directors Association), September 2011. Integrating Preneed, The Director (National Funeral Directors Association), September 2012. 1986 to 1999 D.W. Newcomer’s Sons Inc. The client owned and operated 18 funeral homes and 7 cemeteries in Missouri, Kansas and Iowa. 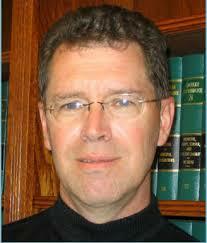 Served as general counsel from 1993 to 1999 with regard to all regulatory, preneed and tax issues. Worked closely with the funeral directors regarding consumer issues. 1986 to 2009 Funeral Security Plans, Inc. The client contracted with hundreds of funeral homes and cemeteries in nine states as a third party preneed seller. Served as general counsel from 1993 through 1999, drafting consumer contracts, trust agreements and provider agreements, and representing the client before state regulatory bodies. Served as general counsel, advising on all insurance regulatory issues, drafting policy forms and structuring insurance funded preneed programs. 1999 to 2009 D.W. Newcomer’s Sons/Stewart Enterprises, Inc. Advised Stewart Enterprises regarding regulatory compliance for funeral and cemetery properties located in Missouri, Kansas, Iowa and Nebraska. Served as special regulatory counsel to the bank’s trust division. Advised regarding preneed trust administration, regulatory compliance, and income tax compliance with regard to national preneed accounts. Advise regarding tax and Nebraska regulatory compliance. Bill has been married to Renda since 1983, and has two (somewhat) grown children. All are avid divers who know the reefs of Cozumel like the back of their hands.